The Salvation Army is known for its caring outreach, like providing food distribution, emergency assistance with utilities, a diaper bank, and afterschool and summer youth programming, among other things. New leadership at the Lincoln Salvation Army continues to build upon successful programs that helps the community they serve to combat poverty and support healthy lifestyles. The Salvation Army welcomes Matt Drommond, who has joined the Lincoln organization as Community Center Director. Matt, whose background is in juvenile criminal justice, relishes working with kids in programs that promote good health and good choices, helping them to avoid the pitfalls that can land them in the criminal justice system. Salvation Army’s Shields Unite is one such program. Shields Unite is designed to build relationships between the kids and law enforcement. Building these relationships works to strengthen the community and create a safe environment for everyone. The Salvation Army opens its gym doors every Friday night from 8pm-10pm, typically hosting about 50-75 kids. 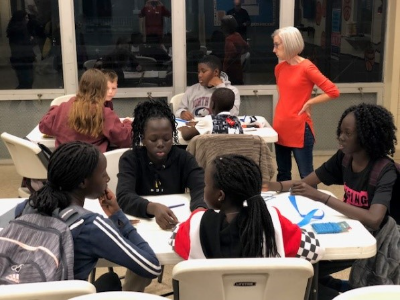 The Young Leaders Club, part of Shields Unite, is a group of middle and high school youth who meet at least once a month to discuss current events, work on life skills, combat drug and alcohol abuse and plan neighborhood events. The Young Leaders Group works directly with leaders from the community as well as law enforcement. Activities include playing sports, team building games, life skills, drug/alcohol awareness, as well as hosting guest speakers. The next Shields Unite meetings are scheduled for March 5th, April 2nd and May 7th. The Salvation Army also works to help kids live longer, healthier lives by promoting fitness and good nutrition. Programs like Fit Club, summer camps, and competitive sports programs like Small Fry Basketball offer kids a safe place to be active and get fit. New Fit Club coordinator, Jaden Jilg-Brown, oversees the afterschool program that focuses on helping kids get stronger and maintain healthier weights. 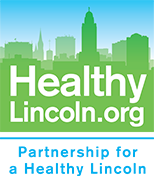 For more information about the programs offered at the Lincoln Salvation Army, email Matt Drommond or call him at 402-474-6263 ext. 1508.